Today’s from the archives post was a popular guest blog originally shared in 2016 from executive business coach, Arlene Moss. 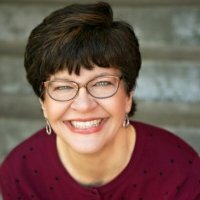 Arlene empowers financial planners to launch and run the business of their dreams through Kimberlite Coaching, and consistently has great advice and tips to share. 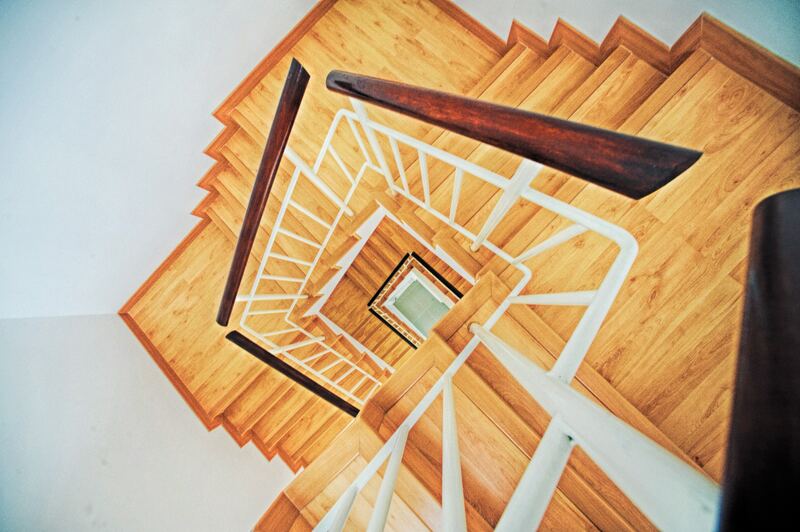 Defining your financial planning niche is crucial to creating your ideal practice. Pick what you love learning about and the people you love working with, then be the expert in that space. 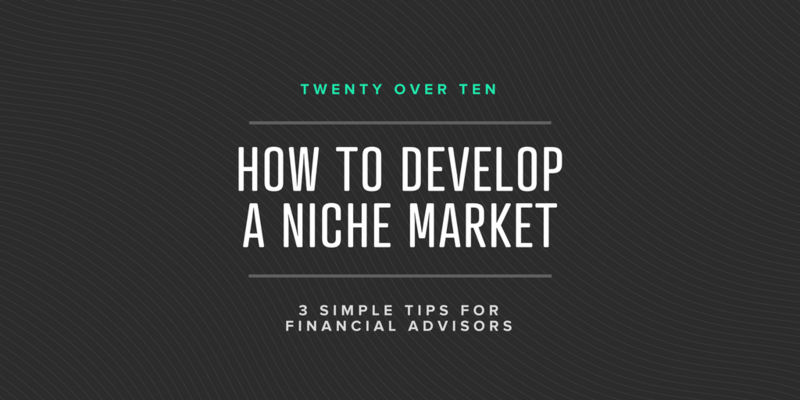 By selecting your target based on either expertise you already have or expertise you want to obtain, you just saved yourself time and made yourself the go-to advisor for your niche. If you are busy researching military or teacher retirement issues, student loan consolidation, financial aid options, and special needs planning, you are going to be exhausted! Focusing your research makes you a more efficient and effective advisor, and ultimately you’re more likely to be referred to. I know 100’s of financial planners, but the ones I can refer to have a very specific, memorable target. Connect with a network of like-minded advisors to help you build your practice and hone your skills. You can go at it alone, absolutely. But you will save yourself time, energy, and money by connecting with advisors that relate to you! There are plenty of places to start making those helpful connections. FPA, NAPFA, Alliance of Comprehensive Planners, Garrett Planning Network, and XY Planning Network all offer training, community and a wealth of industry knowledge from which you can benefit. Join a local NAPFA study group or your FPA Chapter. The more you get involved with these groups the more you will find your sources for support and encouragement as you grow your business. 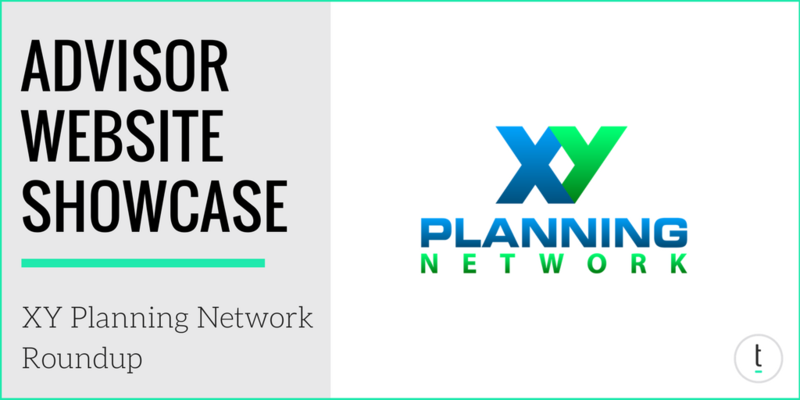 Click above to see some sites Twenty Over Ten designed for XYPN members! Pricing needs to go hand-in-hand with your plans for your business and the clients you want to reach. 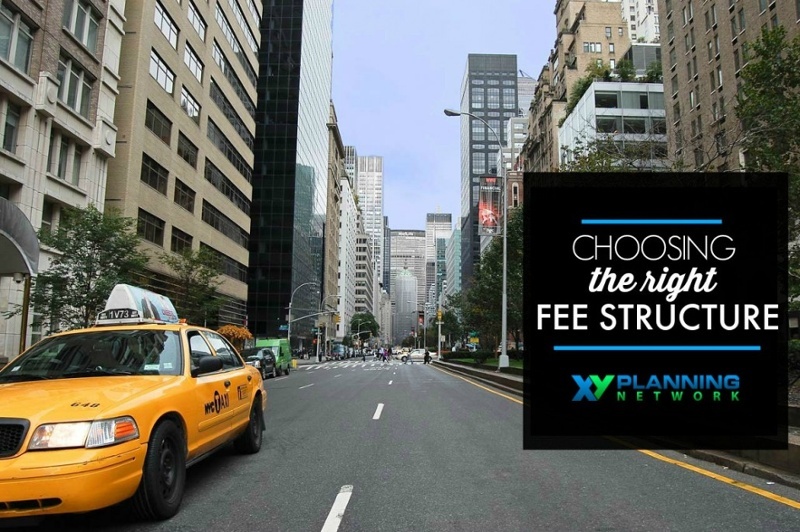 The better you structure your pricing to reflect your message, the better suited your clients will be to work with you. There is no right or wrong between AUM, retainers, subscriptions, hourly, or any combination you create. Some advisors like long-term relationships, others like a stream of new challenges, and some like a mixture of both. You need to be intentional about your client engagements and your client selection. If you want long term relationships with your clients, hourly is probably not the best fit. If you focus solely on investments, AUM is a logical choice. For the advisor engaged in comprehensive planning with clients with low investable assets, a retainer or subscription model is best. The key is to be intentional and align your pricing with your goals. Your pricing will indicate where you focus and how you connect. Be sure it dovetails with what you want to create. Get ready to kick that networking into high gear! Take time to ensure you have made yourself easily referable. By having a clear communication of your value and your ideal client, you make it easier for the people you meet to remember, and therefore refer you. Be sure the content you are creating and the messaging you have online serves your ideal client and send a clear message about your business. All of these pieces fit together to help make you the expert in your niche and make the people you meet more comfortable referring you. As necessary as networking is to success, do not expect networking alone to fill your pipeline. 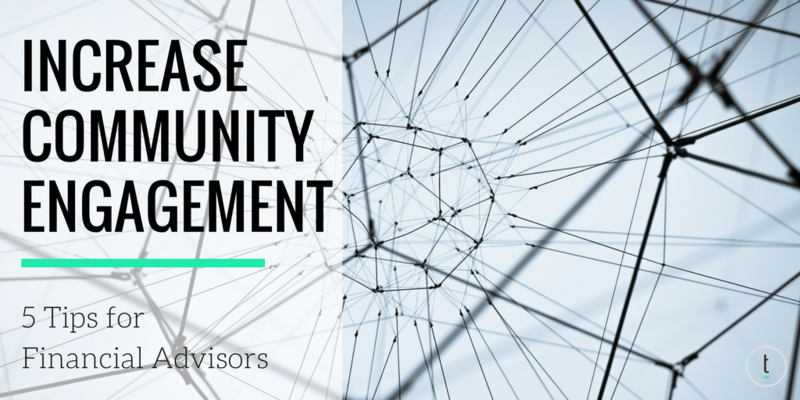 Click above to learn 5 ways you can get more local business through increased community engagement. You will need to follow up with one on one conversations and real value for your centers of influence. Approach each relationship with generosity and a willingness to help your colleagues grow their business. Find out who they enjoy working with and how to best refer to them. Your generosity will bear fruit in reciprocal referrals. I once attended a chamber breakfast and met a newcomer. We were inquiring if he had enjoyed his first meeting and his response was, “Well, I’ll give it 72 hours and see if I hear from anyone, then I will decide if I should come back.” I have never seen him since. A network is not built in a day – or 72 hours. You have to keep showing up. Find yourself an accountability partner, a small group, a coach (note: shameless plug alert! call me!) or all of the above! There is no question that having someone to walk through the rough start up days with you will contribute directly to your success. We all need someone to call us out when we avoid the hard tasks or hide from our fears. Find someone you know will call you out when things are hard, and be willing to cheer for you in the good times. You can be a solo entrepreneur without flying solo.